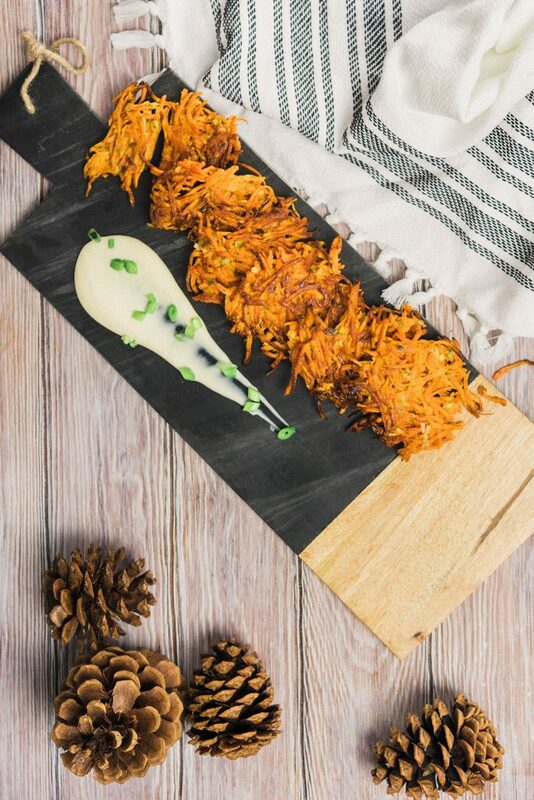 If you're looking for a different way to make latkes this Hanukkah, try our sweet potato latkes with maple creme fraiche! Your family will love them just as much as we loved putting together this recipe. Grate the sweet potatoes in a food processor with the grater attachment. Remove the grated sweet potatoes to a bowl and add the scallions, flour, eggs, salt, and spices. 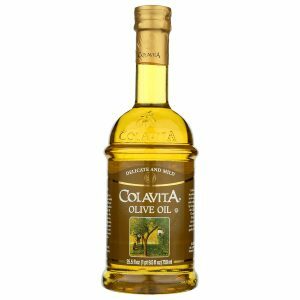 Pour enough Colavita Olive Oil into a deep, 12-inch nonstick skillet to reach ¼” deep. Heat the oil over moderately high heat until hot but not smoking. Working in batches of 4, spoon 1/8 cup potato mixture per latke into oil and flatten to 3-inch diameter with a slotted spatula. Reduce heat to moderate and cook until golden, about 3 minutes on each side. Flip and cook another 3 minutes on the other side. Transfer latkes with spatula to paper towels to drain. Next, prepare the maple crème fraiche. In a small bowl combine the crème fraiche and the maple syrup. Wisk until well combined. Serve the latkes hot with the maple crème fraiche.